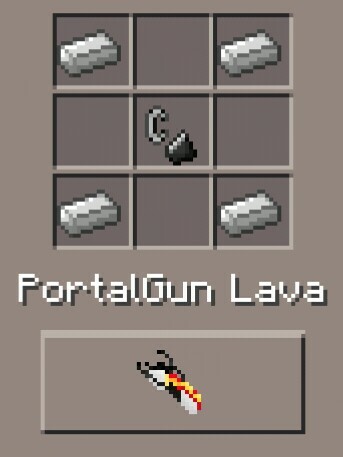 You know Portal right? The famous first-person puzzle-platform video game developed by Valve. If you have never heard anything about it you should check it out now. 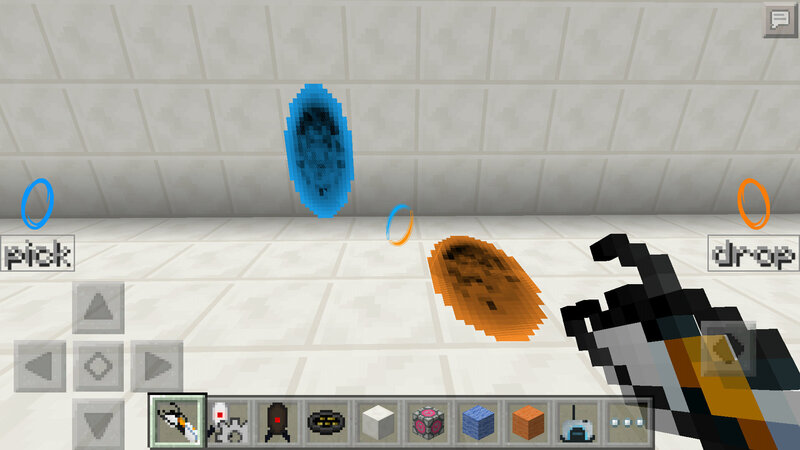 This mod brings some of the features of Portal 2 in Minecraft Pocket Edition! 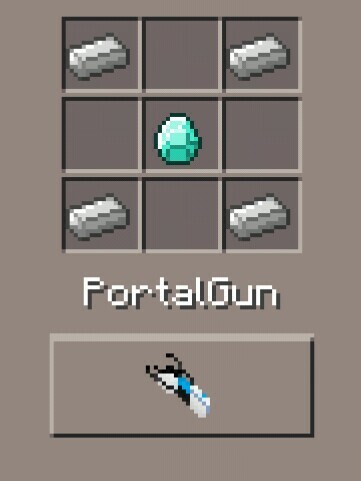 Five different Portal Guns, the Aerial Faith Plate, Propulsion and Repulsion gels, Turrets. 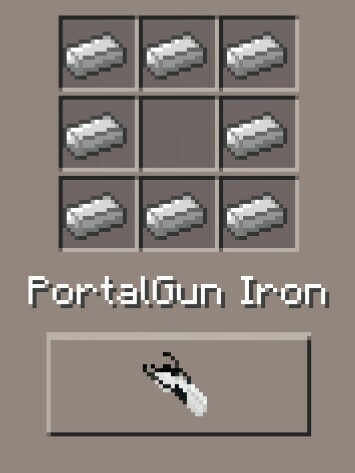 These are some of the things you can find inside this mod. • Download the mod (.modpkg file). • Open BlockLauncher and in Manage ModPE scripts import the modpkg file from local storage. • Restart BlockLauncher and enjoy the mod! 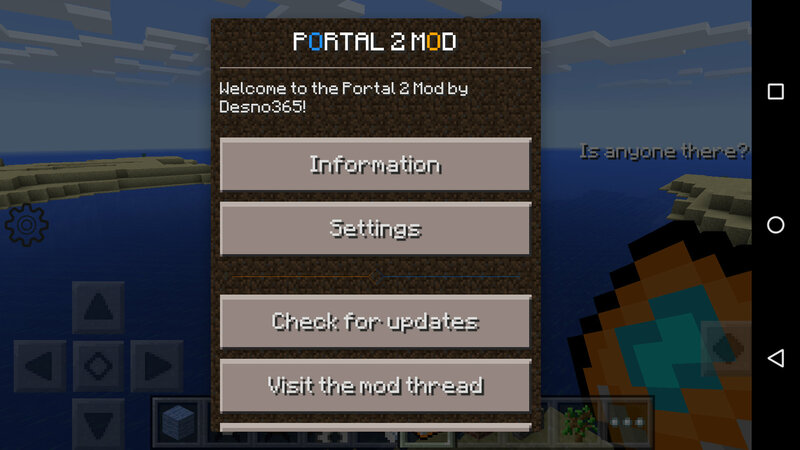 •• Optional: download the “Desno365’s Mods” app from Google Play Store to get news and notifications of new mod versions. 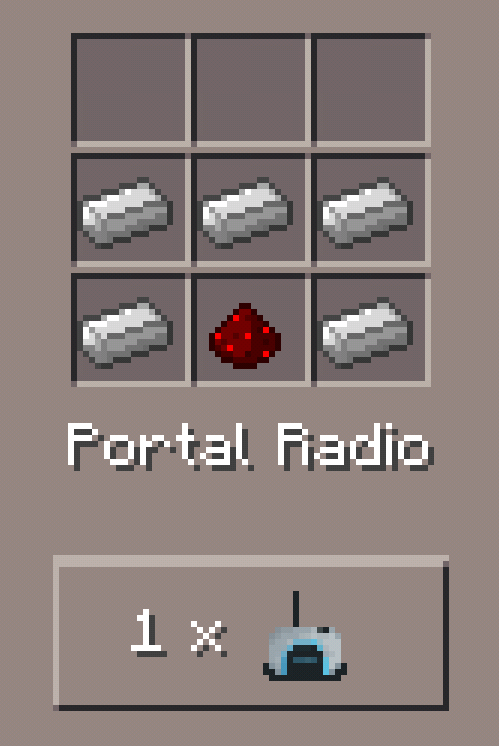 Click an icon under the “Crafting” column to display the crafting recipe of that item. 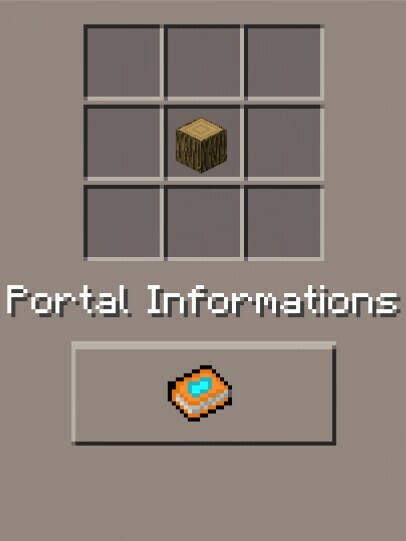 *This item/block doesn't have a crafting recipe but you can get it in Creative Mode, or by using this method in Survival Mode: "Portal Information UI" --> "Settings" --> "Map-makers settings" --> "Get Aperture Lab equipment". - NEW: easier installation, with just one .modpkg file. Manual sounds installation is no longer necessary! • There aren’t known bugs. 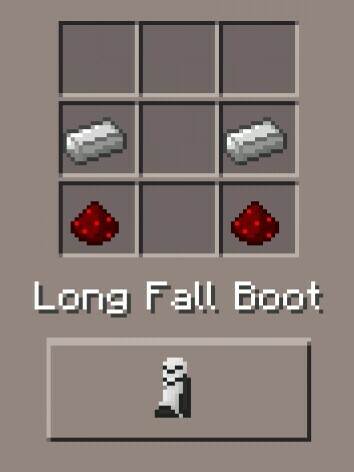 If you find a bug report it in the minecraft-forum.net thread. • Can I share this mod on a website / to my friends / on a social network ? 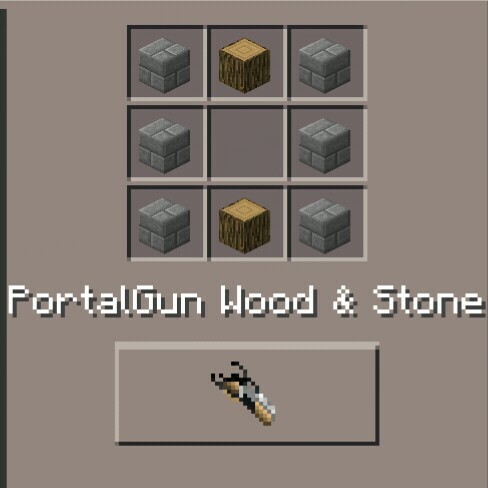 • Can I add this mod in my modpack? Yes you can, and you don’t have to ask my permission, but you have to follow the license of this mod, this means that you have to give me credits and you can’t use my work for commercial purposes (in a few words you can’t make money from my work, for example you can’t sell my mod). 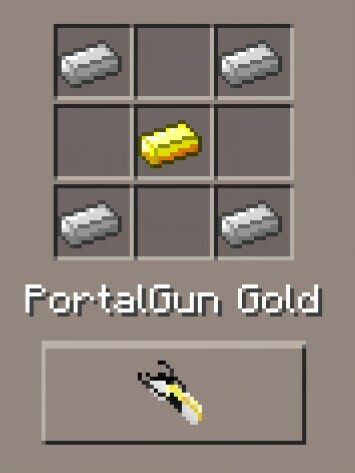 • Can I make a YouTube review for this mod? Of course you can. Only one thing: if you want to add a link for the download, don’t put a direct download link, but just put a link of this web page or a link to the minecraftforum.net thread. 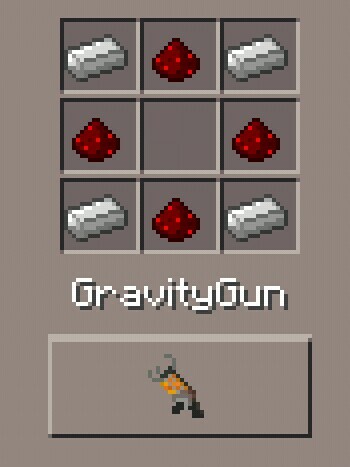 • Does this mod work in local multiplayer? Currently no, because with the current APIs it’s quite difficult to make it work. • If I find a bug, where I should report it? The best way to report a bug is write it on the minecraft-forum.net thread. Before posting your bug-report, read the “Known bugs and issues” section. • How can I support you? You can follow me on Twitter and subscribe to my Youtube channel. All the code of the mod, and a few textures (more license details about the textures are inside the texture pack) are copyright of Dennis Motta (Desno365), and are licensed under the Creative Commons Attribution-NonCommercial 4.0 International License. To view a copy of this license, visit https://creativecommo…nses/by-nc/4.0/ or send a letter to Creative Commons, 444 Castro Street, Suite 900, Mountain View, California, 94041, USA. 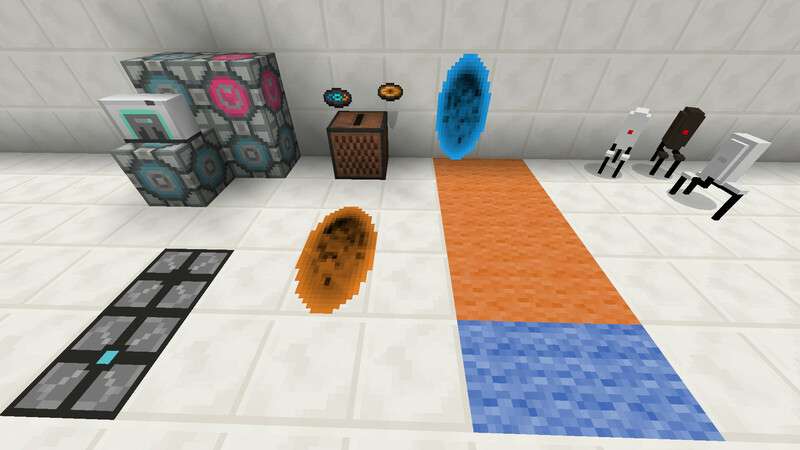 Some textures (more details in the respective folders) are copyright of Sayomi_Inoue, extracted from the Precisely Portal Texture Pack, used according to the permissions license written in the official thread. All the following trademarks are the properties of their respective owners as listed below. • Thanks to iChun (@ohaiiChun) for a few images extracted from his mod. • Thanks to Sayomi_Inoue for his textures. • Thanks to MyNameIsAnti (@AntiModPE) that made for me a fantastic render for the turret. 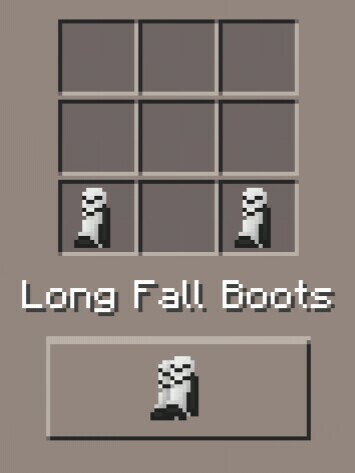 • Thanks to MC_miner_bros for some beautiful textures.